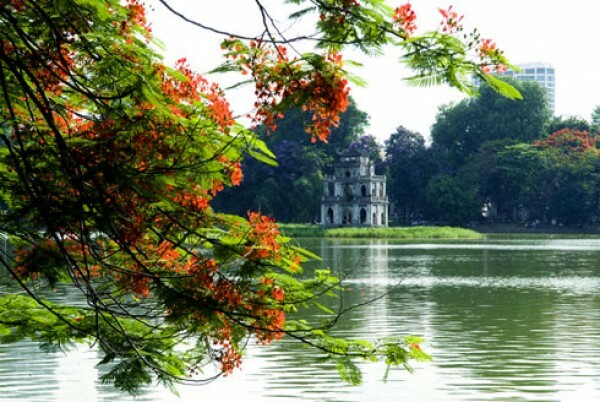 Hanoi is the capital of Vietnam and the country's second largest city. From 1010 purchase until 1802, it was the most Important Political center of Vietnam. It was eclipsed by Hue, the imperial capital of Vietnam Nguyen Dynasty khi the (1802-1945), but Hanoi served as the capital of French Indochina from 1902 to 1954. From 1954 to 1976, it was the capital of North Vietnam, and it became the capital of a reunified Vietnam in 1976, after the North's victory in the Vietnam War. The city lies on the right bank of the Red River. Hanoi is 1,760 km north of Ho Chi Minh City and 120 kilometers, west of Hai Phong city. 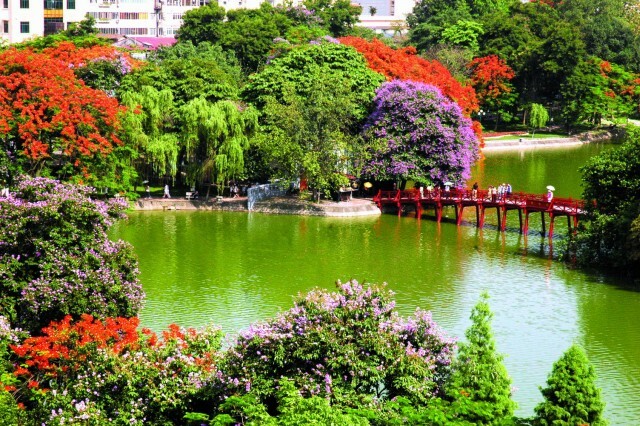 In Hanoi, there are many famous Landscapes, travelers can discover and look for. 07:45 to 08:30 Get picked up by our tour guide and bus. After short drive, start visiting Tran Quoc Pagoda named first place, a Buddhist relic and national heritage lying on the West Lake. 09:00 Ho Chi Minh's Mausoleum Visit, the final resting place of Viet Nam's greatest father, walking along Ho Chi Minh's stilt house where he lived and worked from 1958 to 1969. (Hochiminh's Mausoleum is not opened on Friday and all October and November ). One-Pillar Pagoda Visit 10:00 - the one modeled after a lotus flower, a symbol of Hanoi city. 11:00 Visit the colorful features of the 54 ethnic groups of Viet Nam in the Ethnology Museum. 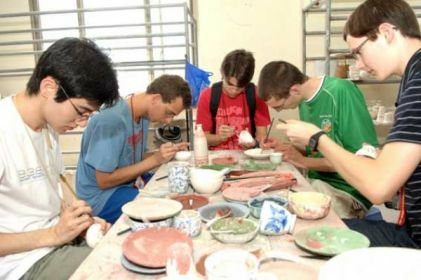 (the Ethnology Museum is not opened on Monday so we will visit Bat Trang ceramic instead). 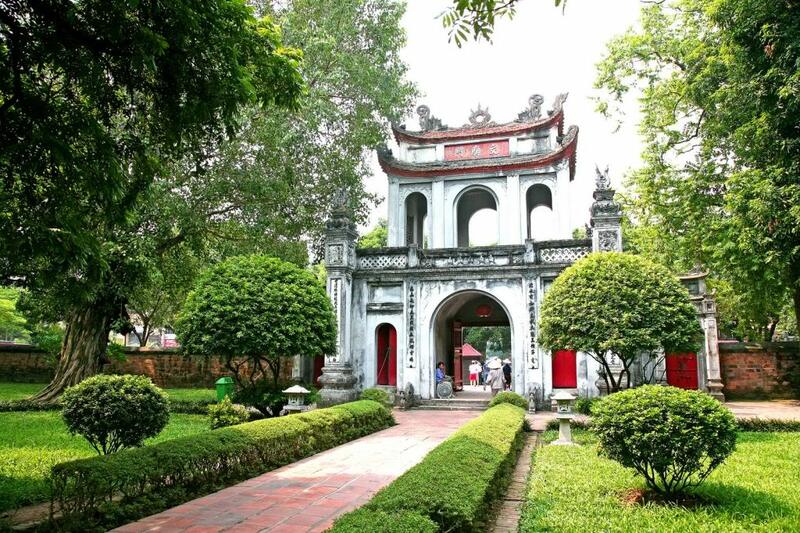 Visit the Temple of Literature 14:00, the most famous temple situated in Hanoi, Vietnam's first am also functioned as university. 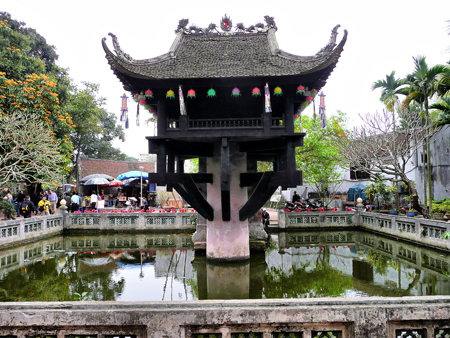 It was first constructed in 1070 under King Ly Nhan Tong and dedicated to Confucius, sages and scholars. A vast structure has existed to present day. 15:30 Drive to legendary Hoan Kiem Lake, Ngoc Son Temple dedicated to visit Van Xuong saint and former commander general Tran Hung Dao for Struggle Against HIS Mongolians. You also see the beautiful Vietnamese and French architecture around the lake. 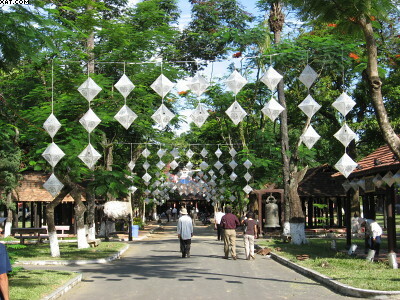 07:45 to 08:30 Get picked up by our tour guide and the bus then visit Tran Quoc Pagoda named first place. Experience our national heritage and the beautiful Buddhist relics on the West Lake. 09:30 Visit a sacred place to recall President Ho Chi Minh's life and career in Ho Chi Minh's Mausoleum, the Stilt-house where Ho Chi Minh lived and worked from 1958 to 1969. One-Pillar Pagoda Visit 10:30, the one modeled after a lotus flower, a symbol of Hanoi city in present days. 12:30 Have lunch at a local restaurant Vietnamese in Hanoi Old Quarter and relax. Continue exploring the famous traditional village of Bat Trang is situated approx 15 kms outside of Hanoi, surrounded by fertile farmland. Watch the products in showrooms, the artisans forming, painting their products, which are then baked for several days in huge kilns..
15:30 Drive back to Hoan Kiem Lake to visit Ngoc Son Temple dedicated to Van Xuong Saint Tran Hung Dao and his Struggle Against General Commander for Mongolians. 16:30-17:00 Arrive back của hotel. Tour ends. - Pick up and drop off at your hotel by air-conditioned bus. - Experienced and enthusiastic drivers. - Vietnamese lunch, entrance fees. - Travel insurance, tax, cyclo, Water Puppet ticket. - Tips and others not included in the package.